Benjie Paras and Jackie Forster son is set to become a full-fledged UP Maroon. 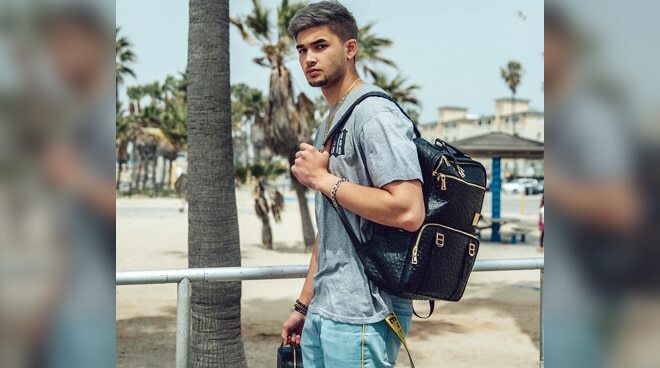 Three years after he decided to join the Varsity teams of two college institutions in the US, Kobe Paras returned to the country to become part of the University of the Philippines Fighting Maroons and hopefully, to earn a degree from the country’s top school. “The University of the Philippines is the most respected educational institution in the country. The attraction of UP is not just its basketball program, which just gets better each year, but the world-class education it is known for,” the Gilas Pilipinas cadet said in a statement. "I look forward to the challenge of helping make the Fighting Maroons a better basketball team, and the challenge of helping myself become a better student," he added. Back in 1986, University of the Philippines won the Basketball Championship, which was then led by his father Benjie Paras.